The 10 x 10 foot beach cabana provides 100 square feet of shade shelter on the sunniest days. 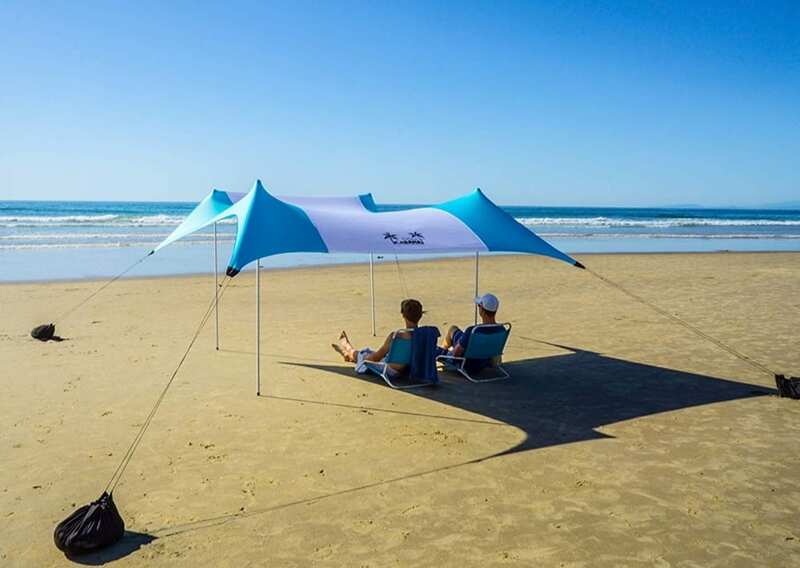 That’s room for the whole family under this beach tent sun shelter pop up!Lay the beach shade flat, fill the sand bags and prop up the shade with the aluminum poles. Take down is even simpler, remove poles, empty the bags, fold up the shade and store in the included waterproof bag!